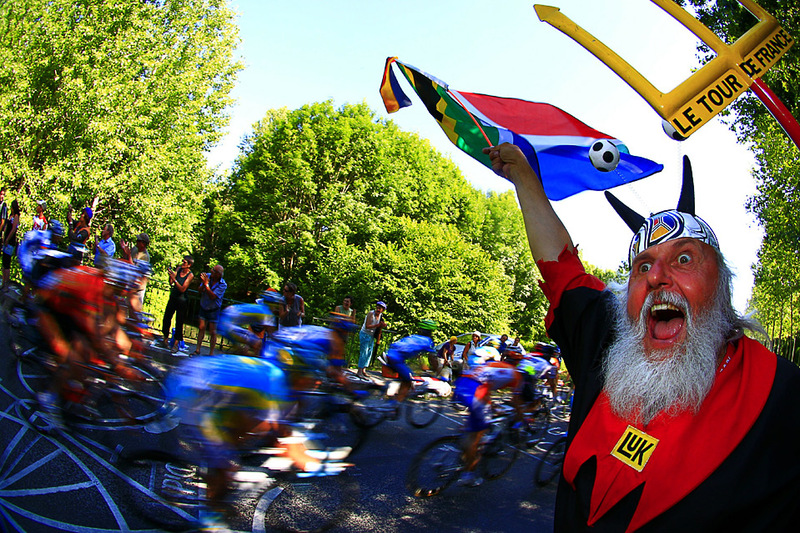 Seldom is the first week of the Tour de France as riveting. Or as dangerous. But two stages in the normally flat domain of the sprinters produced surprising results and sent a pair of important riders home early. A rain and oil slicked descent spilled almost half the peloton, with riders hitting the deck hard. And a rough stage over the cobblestones on a route usually reserved for the rugged Paris-Roubaix spring classic race strung the peloton out and produced time gaps among the favorites not generally seen so early in the race. Crashes on these stages claimed both American Christian VandeVelde of the Garmin-Transitions team and Luxembourg’s Frank Schleck of Saxo Bank, both of whom abandoned the race after breaking bones. They had finished last year’s tour in the top ten. Add to this mayhem the bitter rivalry between Lance Armstrong and Alberto Contador, the buzz around outspoken Mark Cavendish and his quest to repeat last year’s six stage wins, and Cadel Evan’s surge since winning the World Championship last year, and this tour is one for the ages.